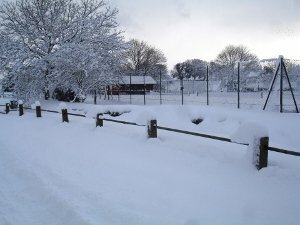 Welcome to Wheatley Tennis Club, a small, friendly club in North Nottinghamshire bordering both Lincolnshire and South Yorkshire. Wheatley is a friendly club, offering good facilities and an opportunity to play all year round tennis with everyone welcome, whatever level of player you may be. Our group coaching session are held every Friday evening for just £4.00 per session. The 2019 Wheatley Tennis Club open day will be held on Saturday, the 6th of April at 2.30pm and we look forward to welcoming both existing and new members. With a BBQ and refreshments provided, all we ask is you come and enjoy the afternoon. Don’t worry if you haven’t played before as racquets will be available for those that need one. As our coach Tim Taylor departs for a new position as Director of Tennis at a leading Tennis Academy in Tenerife, we welcome Tom Bradley, who will be joining the Club as our new coach. To cover period up to 31st May 2019. Amount to be deducted from above categories if annual membership subsequently applied for.